When it comes to eating healthy, spices are many times overlooked. 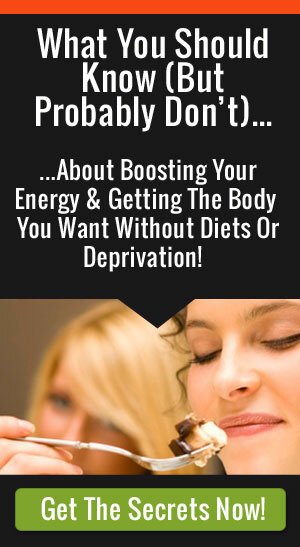 So if you want to supercharge the health benefits of the foods you’re already eating while adding more interest to your meals, head to the spice rack. In the spice world, turmeric is the gold standard when it comes to healing properties — both in Eastern and Western medicine. Sadly, few people know how to use it and make it taste delicious. For sure, it has a unique flavor that’s not as approachable as cinnamon or some of the other spices you may be used too. It can range from fairly mild (white turmeric and turmeric from the Andes) to slightly bitter and astringent like the yellow Indian turmeric that you find in curry powder. But even if you’re not a huge fan of its taste, the great news is that turmeric pairs well with almost any other spice like cinnamon, black pepper, nutmeg, and ginger — and tends to be a bit of a chameleon based of the flavors you mix in! The healing benefits of turmeric are well documented and in fact there are several compelling studies done in recent years on obesity in animal trials and diabetes in a small human trial. In ancient Ayurveda, turmeric is considered a curative panacea and yogis to this day eat plenty of turmeric and even bath in it. Its astringent nature is prized for “drawing out” poisons or infection in the body — but from the medical studies turmeric has the ability to quench inflammation (which is at the root of so many health issues). 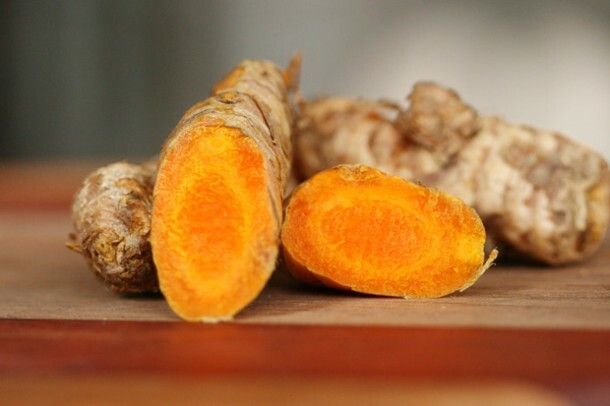 Ayurveda considers turmeric to be purifying in nature for both the skin and blood. In Western medicine, the active ingredient in turmeric called curcumin (not to be confused with cumin) continues to wow the medical community because of its multi-faceted curative benefits. 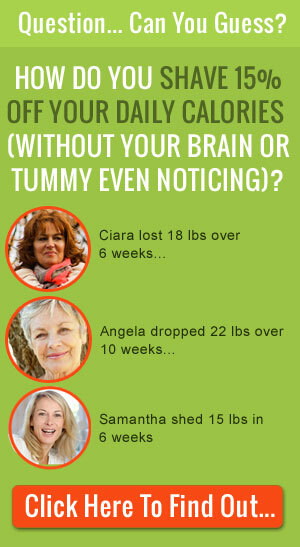 From boosting your memory, to helping your body recover from neurodegenerative diseases, like Alzheimer’s and even wiping out ulcers in animal trials. 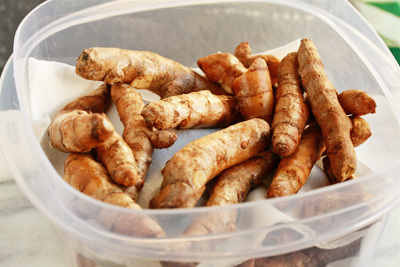 Turmeric, like ginger, comes in a compact little root that’s simple to cook with if you can find the fresh root. Gourmet grocery chains like Whole Foods carry whole yellow turmeric root, and both yellow turmeric and white are quite easy to order over the internet and range from $10 to $20, a nice 1 pound supply that will last a month in your fridge if stored properly. Ground yellow turmeric from India is a staple in the spice isle of any local grocery store. 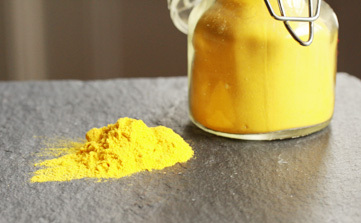 Store ground turmeric in a dark cool cabinet or spice rack (away from direct light that can damage the natural oils and pigment where the active compounds reside). For the fresh root, layer an air-tight container with clean dry paper towels. Arrange one layer of roots and top with another paper towel. Repeat and close. Keep refrigerated, changing the paper towels as they become damp, to keep the roots from molding. Want To Start Cooking With Turmeric? I’ve developed a recipe booklet with delicious recipes incorporating turmeric… Simply click here to download! Enjoy this hot chocolate that’s bursting with antioxidant-rich cocoa and spices. Avoid though coco mixes since they contain less of the real ground cocoa beans and add preservatives and sugar. Place the milk, cocoa powder, sweetener, turmeric, and cinnamon in a small saucepan. Bring to a simmer over medium heat, whisking occasionally until the cocoa and spices are mixed well and the mixture is warm. 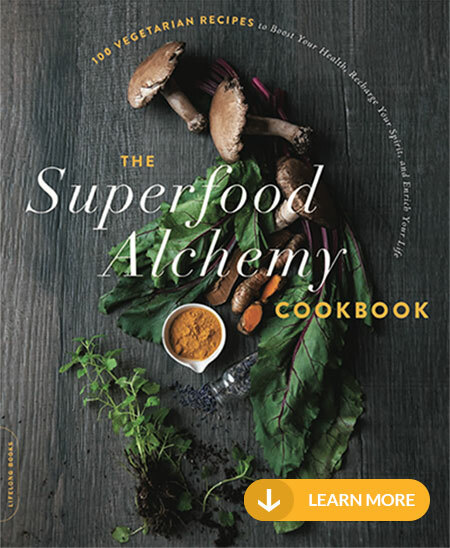 Looking for more great recipes with turmeric, check out my other side Superfood Alchemy, that mixes medicinal foods with meditation! 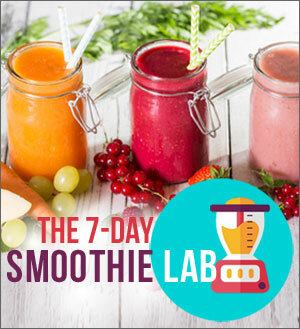 Enter your email address below and get free instant access… it’s 100% Free!